I recently "Liked" a Facebook Page for UNAIDS, a non profit organization that seeks to help raise awareness and understanding about the virus and how it can be prevented and eventually eradicated. You can too, if you want. Just visit their Facebook page at http://www.facebook.com/UNAIDS. In the lead up to December 1, World AIDS Day, UNAIDS will release 5 informational short videos on YouTube, one of which is embedded below. 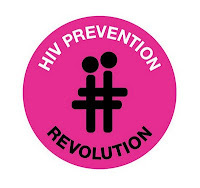 The key theme of the videos is "HIV Prevention Revolution". With 7000 new people being infected everyday, something needs to be done TODAY to save even a fraction of that number tomorrow and the next day and the next. WE can help. By educating ourselves and the people around us about how HIV is transmitted, then we can begin our own Prevention Revolution. But to do that we have to first eradicate the stigma around it. Last year, I blogged about how I had taken the free HIV test provided by our company, and was encouraging my colleagues to do the same. I was met mostly non-committal responses ranging from half-hearted "Sure", to slow nods. There were some with violent reactions saying they didn't need it, as if taking the HIV test was already an admission of guilt for promiscuity. How can we educate ourselves and other people about HIV and AIDS if we have closed our eyes and ears to it? Moreover, how can we expect to eradicate this virus if we do not teach others how to prevent it from spreading? Some would say "But we DO KNOW how you can get infected! We DO KNOW how to prevent it!" Well folks, the 7000 people who will get infected TODAY do not know. And who will tell them when none of us want to talk about it? On December 1, I will be wearing a red ribbon on my collar. And if there is another Free HIV Testing, I will take it again. I hope you will join me this time.